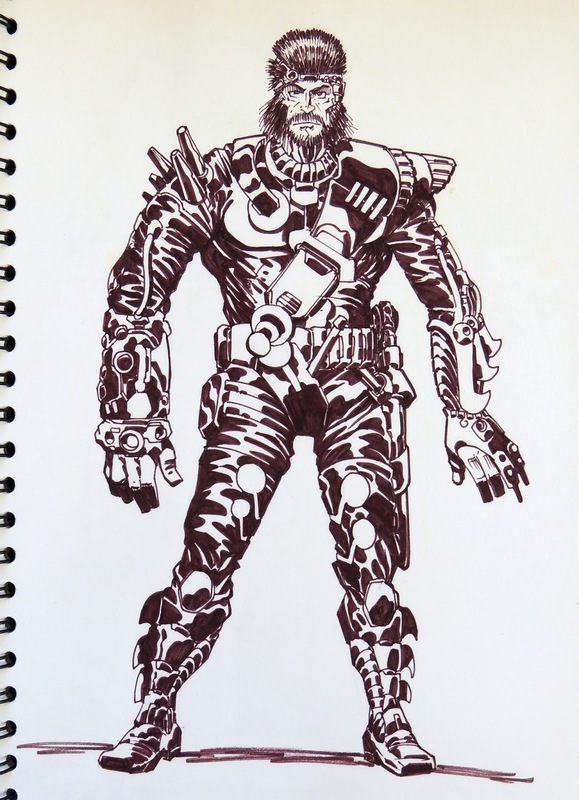 Peter Laird's TMNT blog: Blast from the Past #697: Sketchbook page 43, drawing of Spyder? Blast from the Past #697: Sketchbook page 43, drawing of Spyder? 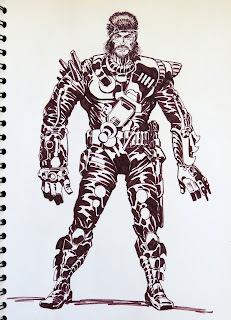 This finished drawing on page 42 of the sketchbook is not labeled, but I am reasonably certain that it represents another attempt by me to craft a look for the proposed villain for the never-produced fourth live-action TMNT movie, the incredibly cleverly-named "Spyder" (yes, I am being sarcastic).